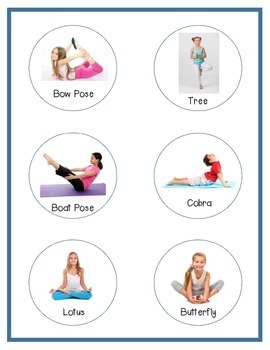 Yoga has many proven benefits for students including enhancing focus and concentration, comprehension and memory, as well as providing beneficial movement breaks. 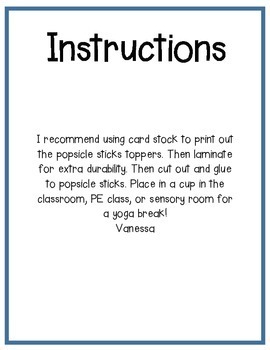 I recommend using card stock to print out the popsicle sticks toppers. Then laminate for extra durability. 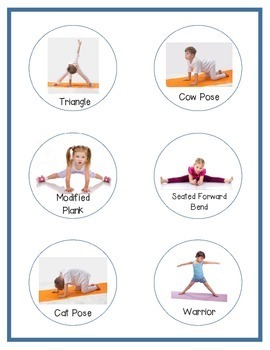 Then cut out and glue to popsicle sticks. 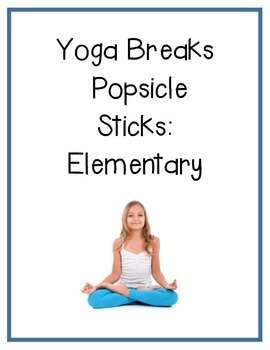 Place in a cup in the classroom, PE class, or sensory room for a yoga break!